Cruising is often compared to a dinner wine; the wrong one can spoil your whole experience! With over 50 cruise lines operating, you’re probably wondering what are the best cruise ships for kids, and it’s essential you pick the right one! You want to pick one of the best family cruises that will keep the kids entertained, but also allow you to have some time to relax. After all, everyone should enjoy the experience, not just the kids. Oh, wait. I haven’t introduced myself. My name is Lewis Nunn and I’m a luxury cruise and travel blogger, at The Luxury Traveller. You might be thinking, how is a luxury cruise & travel blogger knowledgeable on cruise lines for families? Well, aside from my passion for luxury cruise and travel, I’m also sixteen years old! Over the years I have grown up exploring the best cruise ships for kids, with holidays often consisting of all twenty members of my family. And so, I’ve developed a wide amount of knowledge on the topic of family cruises, based on my own experience. So what you will read in this article will be straight from the horse’s mouth, so to speak. Without further ado, here are my top 7 best cruise lines for kids. No other cruise line could sit at the top of my list of the best cruise ship for kids than Royal Caribbean Cruises. From the Broadway shows (such as Grease and Mamma Mia) to the 3D Cinemas and Parades, this is one of the best cruise lines for families. Excluding all these out-of-this-world facilities, Royal Caribbean also features one of the best kids programs at sea. Royal Babies (6-18 months) or Royal Tots (18-36 months) can partake in interactive playgroup sessions involving toys and music, where a parent must be present. Aquanauts, (3-5 years) can enjoy many activities involving from bubbling potions to Jurassic Park dinosaurs. Also getting the chance to participate in the Pirate Party Parade around the ship. Whereas Space Mud, Meteorology, and Fossils are the types of activities Explorers (6-8 years) will be involved in. For slightly older children, Voyagers (9-11 years), the science theme is still present. However, kids in this category also get the opportunity to take part in backstage tours at the onboard theatres. Teenagers (aged 12-14) partake in much more hands-on activities such as rock climbing, dodgeball, and Dance Dance Revolution. As the sun sets, teens can enjoy private BBQ’s and movie nights. Or alternately, they can join in the open mic nights, talent shows and Scratch DJ Academy. The eldest teen category (15-17) gives a much more laid back experience with theme nights, pool parties and teen dinners. Earlier I mentioned about fussy eaters. In order to enjoy gourmet dining (like at Jamie’s Italian), Royal Caribbean has developed the perfect solution without moaning kids. Expedited dining allows your children to be collected as soon as they finish eating, and then taken for fun and games at the kids club, therefore allowing you to spend as much time as you want to unwind at the restaurant – now that right there deserves a mention on a list of the best cruise lines for kids! This may, for example, be a multi-course meal in the Main Dining Room; primarily consisting of American or Italian cuisine. For smaller bites and buffet-style dining, Windjammer Café is open throughout the day. Sadly, family holidays can sometimes be rather stressful spending all that time together in a closed environment. However, this does not always have to be the case with your cabin. In fact, Royal Caribbean actually features some of the largest accommodation at sea. If you’re cruising onboard an Oasis or Quantum Class Ship, money depending, you can stay in one of the Loft Suites which definitely makes them one of the best cruise ships for kids. Extended balcony and even a Baby Grand Piano! Book your Royal Caribbean Cruise with Cruise Direct and never pay a booking fee! Boasting 25 ships, Carnival Cruise Line is one of the best cruise ships for kids traveling on a slightly smaller budget. That’s not to say your experience will be any less than 5-star family-fun. Floating away from the endless facilities, children and teenagers can also attend the onboard youth clubs, separated into a wide amount of age categories. Children aged 2-11 can attend Camp Ocean (or Camp Carnival), then separated into sub-age-categories of 2-5, 6-8 and 9-11. Whereas the slightly older 6-8-year-olds can spend time on Playstations, Nintendo Wii’s, spin art and many themed activities. Children in the oldest kid’s category, 9-11, partake in kid’s discos, pizza pig-out and swimming under the stars. Whereas the elder teenage group, Club O2, is partnered with Coca-Cola providing a ‘Coke-tail’ lounge where teens can savor the taste of non-alcoholic specialty drinks. Now – what about fun for parents! While you attend a bar crawl or boogie till dawn, take full advantage of Carnival’s babysitting service, available daily from 10:00 pm to 3:00 am. This service costs just $6.75 an hour. 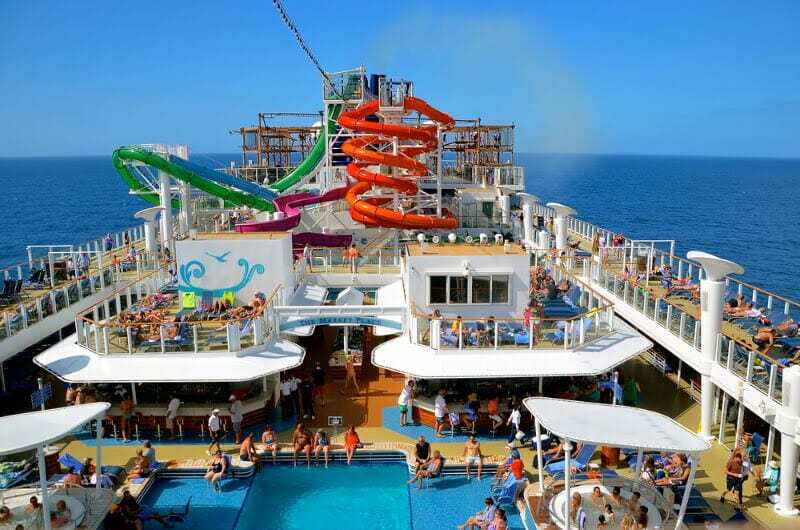 Parents, do you see why Carnival is near the top of my list of best cruise lines for families?! 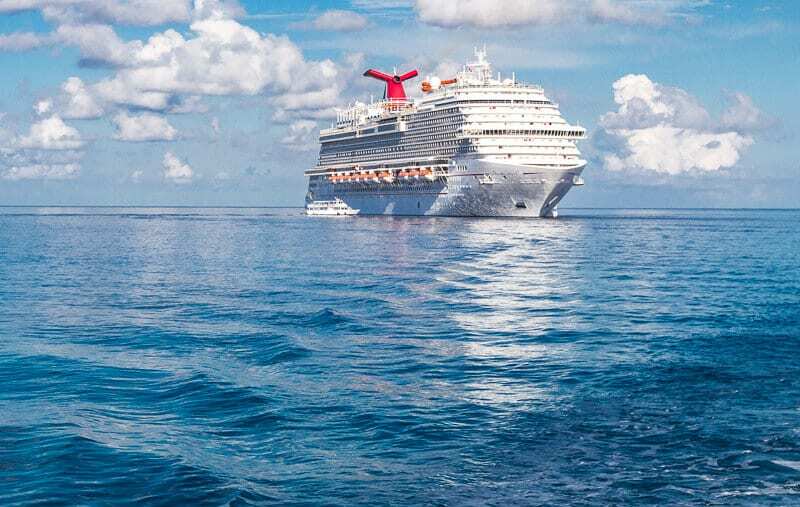 Book your Carnival Cruise with Cruise Direct and never pay a booking fee! 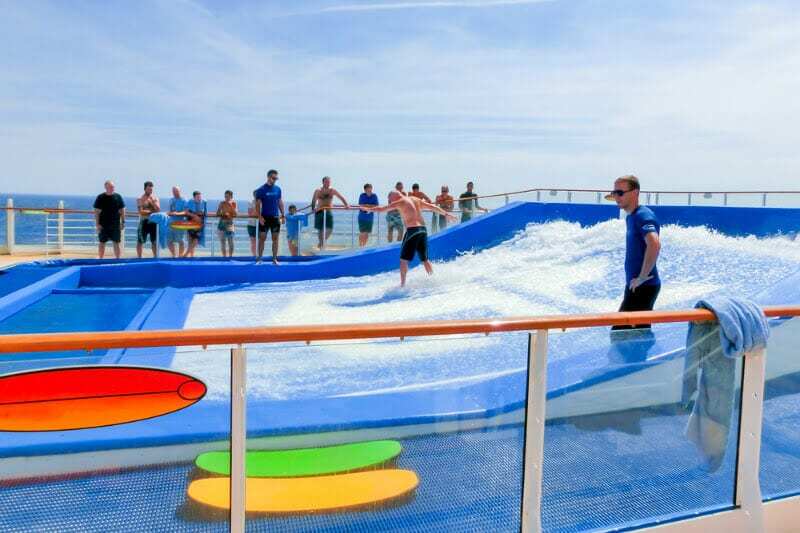 Home to freestyle cruising, Norwegian Cruise Line has developed some of the best facilities and amenities for family cruising. One example being, of course, the freestyle dining, where passengers are not confined to a strict dining time, making your evenings much more flexible and relaxed. After all, things don’t always go to plan on a family holiday. The onboard youth programs are really never-seen-before with activities ranging from Cirque du Soleil classes to over twenty sports for older teenagers. Serving a hint of Disney and Royal Caribbean, some cruises also feature onboard characters such as Dora the Explorer and SpongeBob. Separating kids into the age categories of 2-9, 10-12 and 13-17 with an entourage for teenagers fitted with air hockey, pinball and a transformation to a nightclub in the evening. Or as the sun falls, your teenagers may prefer to catch one of the Broadway-style musicals available onboard. In fact, on Norwegian’s latest vessel the Norwegian Joy, sits the first go-karting track at sea spanning over the top deck. Book your Norwegian Cruise with Cruise Direct and never pay a booking fee! Similar to their land-based adventures, Disney’s operated cruise line caters primarily to kids as the main audience, giving your little ones the opportunity to collect autographs with some of their favorite Disney characters. On Alaskan voyages, special visits are featured with Anna and Elsa for the ‘Frozen, a Musical Spectacular” event. 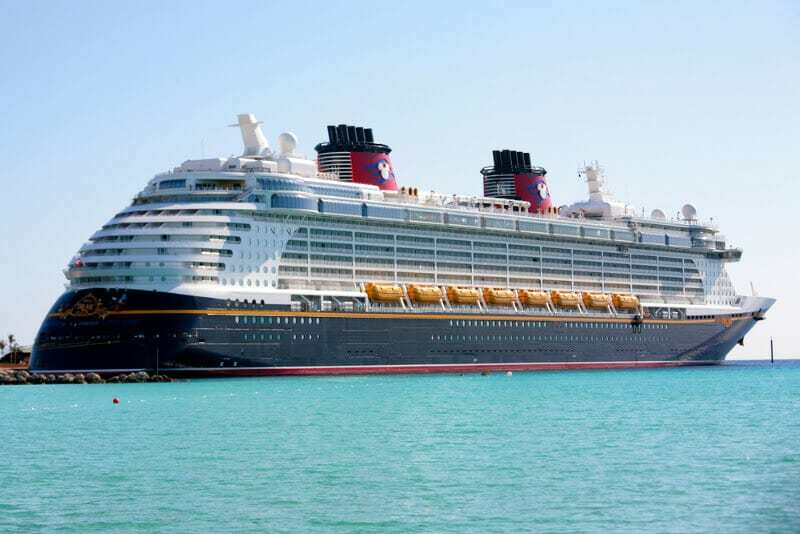 Another reason Disney is one of the best family cruise lines is it incorporates various movies, games, Broadway-style musicals and even a 1,800-foot water park fitted with river rapids and an Aqua Duck spanning over a total of four decks. Dinner time is important when it comes to child-friendly cruises, and Disney created the inception of interactive dining, with hundreds of LCD screens creating the experience of dining under the sea. This includes special visits from Nemo and Dory of course. Interactive experiences don’t finish there; Disney cruises also created the idea of a ‘virtual window’. When staying in an inside cabin, many feature a porthole filled with a virtual window fixed to a camera outside of the ship. For time to yourself, children can attend the Disney’s Oceaneer Club with character performances, dress up parties and movies to ensure a boredom-free holiday. Children as young as six months are permitted to cruise with Disney Cruise Line, and so they have established the Flounder’s Reef nursery. Here, staff members can look after your children aged six months to three years old at an hourly fee of $9. During this time, parents can head to the adults-only areas such as Quiet Cove Pool and Vista Spa. Book your Disney Cruise with Cruise Direct and never pay a booking fee! One of the best cruise ship for kids for those families traveling on a shoestring budget, MSC offer many discounts such as kids cruise free, which was present during my time onboard. Four years ago, I ventured across the sun-kissed Mediterranean onboard the star-studded haven, the MSC Splendida. Along with twenty other relatives! Present across MSC’s fleet is a lively buzz, filling days jam-packed with activities and transporting guests to a Vegas-style atmosphere in the evenings. Reflecting on my days spent onboard (aged twelve), they mainly consisted of sunbathing, swimming, playing tennis and drinking unlimited mocktails. Having said that, MSC features a range of other sports facilities such as basketball and table-tennis. Complimented by the many kids and teens clubs with age ranges 0-2 years, 3-6 years, 7-11 years, 12-14 years and 16-18 years. As for evenings, after being entertained by one of many acrobatic and music-centered performances, families can enjoy many technology-based facilities such as the 4-D Cinema. Or, while the kids are kept entertained, parents can enjoy time to themselves at the onboard Spa. Taking that much needed time to de-stress. There is a range of accommodation onboard the ships, suiting all different kinds of budgets. Book your MSC Cruise with Cruise Direct and never pay a booking fee! Princess cruises initial claim to fame was found in the hit television series, The Love Boat, which didn’t portay it as one of the best cruises for children. Since those days the cruise line has excelled incorporating some of the best family-themed facilities at sea. Nearly every ship features multiple kids clubs ranging from separate clubs for 3-7-year-olds, 8-12-year-olds, and the teens club 13-17-year-olds. As far as teenagers go, there is plenty to do onboard from hip-hop classes to hot tub parties and even mocktails socials (my favorite) for the more sophisticated teens. In fact, there are even makeup and skincare training sessions for those beauty gurus. Nonetheless, children are also able to participate in many activities alongside their parents. This includes yoga where passengers can participate from age three. If yoga does not appeal, children and teens can also find their inner Gordon Ramsey with cooking workshops led by onboard Chefs. Here, they can learn to prepare many dishes such as Sushi and Linguini. As the sun floats down, families can enjoy quality time together in the movie under the stars experience. Where passengers recline out on deck wrapped up in a warm blanket and delving into bags on popcorn. Speaking of food, children can sometimes tend to be rather fussy eaters. Gosh-I know I was! Although you can indulge in gourmet Mediterranean cuisine at the onboard restaurants, you can alternately just head to the buffet. Residing here is a selection of Pizzas, French fries, hot dogs, and desserts. Shamefully, I must admit something. Before stepping onboard a P&O cruise ship, I held certain misconceptions about the cruise line. Thinking it to be no more than bingo and shuffleboard onboard. This misconception was completely annihilated after attending a day visit onboard the P&O Britannia. Aiming at the British market, reminders of the country are present throughout the fleet. Especially on the newest vessel, the P&O Britannia, where the entire hull is covered by a Union Jack! Never before have I found a better teens club, than that onboard the Britannia, making it one of the best cruise ship for kids (teens). With their own dedicated deck area, teens can relax in the large hot tubs or take a bit of time to develop their tan. Ideal for those moments when slurping on a mock “mojito”. There are plenty of other ways your teenagers and kids can stay entertained onboard, one example being through the many sports facilities. Meaning you can certainly stay fit and active while you indulge in gourmet cuisine. Over 17 dining options are situated onboard, ranging from buffet style cuisine to gourmet a la carte. Much to my surprise, dining can also be an area for some quality family time at the Cookery Club. Famous chefs constantly circle here, such as James Martin. Luckily, I was able to try some of the moist luscious brownies here, which were delicious. The menu is changed daily onboard P&O ships with a special Gala dinner on formal nights. Following the trend set by Norwegian Cruise Line, P&O cruises also offer their own form of flexible dining. In some of the main dining rooms you can eat at any time between 6:00 pm and 9:30 pm, making it flexible for last minute hiccups. The cuisine is spread over 5 courses, with 6 courses on Gala evenings. Global dining is prevalent in the main dining rooms, with the daily special often reflecting the port the ship is visiting. Although, you will find traditional British cuisine onboard such as Welsh rarebit and Scottish smoked salmon. Complimented by a cheeseboard to round off your evening meal. 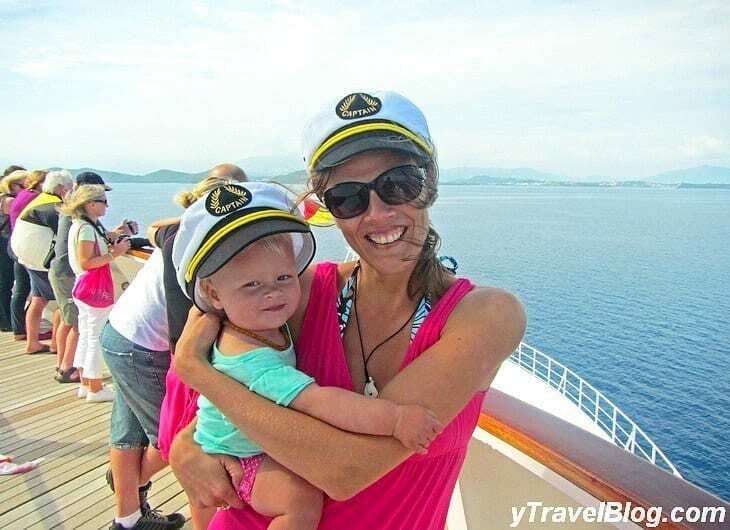 Hopefully, from this article, I’ve been able to provide some guidance on the best cruises for kids and help you move that one step closer to cruising. For more cruise and travel tips, destination guides and 5* trip reviews from around the world, head to The Luxury Traveller. Cruise direct is a leading online cruise travel company dedicated to providing access to great deals on cruise vacations. They work with the industry’s leading suppliers that gives them access to special rates that we turn into big savings for you. They offer family cruise deals, a best price guarantee, and flexible payment plans. If you choose to book a cruise with them via one of our affiliate links, we may get a small commission at no additional cost to you. You get an awesome product/service and we get to keep the lights on! Have you experienced any family-friendly cruises? 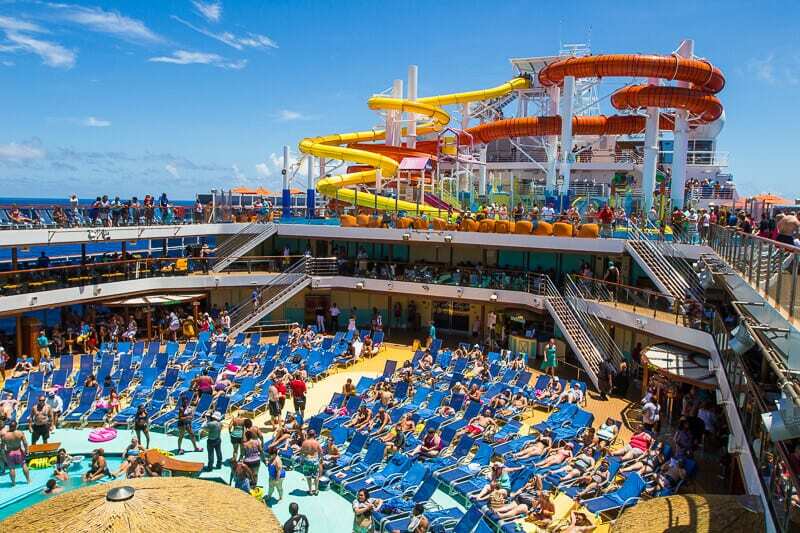 What do you think are the best cruise ship for kids? A beautiful blog – there is always something to discover in Paris, no matter how many times you go. Earl, i’m about to travel around the world working on a cruiseship, the reason for this is that i´m really bored over here , i´m really decided to do it and right now im at interviews. Thanks to your postsi have been able to keep up my courage and determination to do it! How about an event like Burning Man? Any thoughts about doing that?